Flowering Season: Spring (late), Summer, Fall (early). 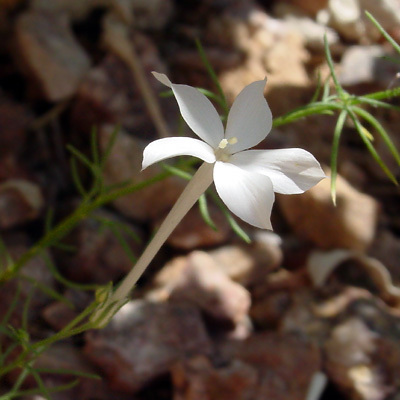 This wildflower blooms anytime from spring to fall depending on the rains. 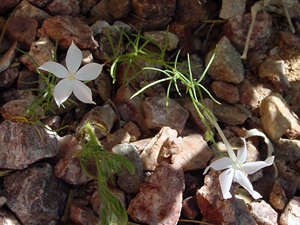 Description: The flowers are tubular, 2 inches (5 cm) long, and have 5, point-tipped lobes. The flowers are pollinated by moths. The leaves are green and pinnate with linear, threadlike lobes. The stems are green and slender. The plants are so thin and wispy that they are difficult to spot unless flowering.